The German Grand Prix at the Nurburgring may not automatically be at the top of the list of everyone's favourite races each year, but this year's event proved a hit on many fronts. The cold weather and rain showers gave it more of a feel of a mid-winter test session than a summer race, but there were plenty of smiles around the paddock on Sunday night as Mark Webber took what was a long overdue maiden victory. And perhaps the fact that the Nurburgring is not a 'party capital' in the same bracket at Monaco or Montreal, meant people went the extra mile to go out and enjoy themselves - even if you didn't work for Red Bull Racing. It had only been two years since the Nurburgring last hosted a race, but the transformation in the facility had been hugely impressive. As part of a major revamp of the circuit, a new 15,000 square metre leisure park has been built - which offers fans the chance to get closer than ever to one of the most iconic race tracks in the world. As well as a 3D cinema offering a superb perspective on the Nordschleife 24h race, there are historical displays, bus tours, simulators, quiz machines, restaurants and shops. Taking centre stage of the new complex is a spectacular rollercoaster, which swoops in and out of buildings and runs alongside the grand prix tracks. It boasts a top speed of 217 km/h, and reaches that velocity in 2.5 seconds - which is twice as fast as an F1 car. Unfortunately, as impressive as the new 'Ring-Werk' complex will be, it wasn't quite finished in time for the German GP weekend - and fans found themselves walking over freshly laid asphalt or clambering through scaffolding around the site. More of a disappointment to the many adrenaline junkies was that the superfast rollercoaster, called the 'Ring Racer', could not run at full speed as its braking system was not quite working well enough to allow full speed to be reached. 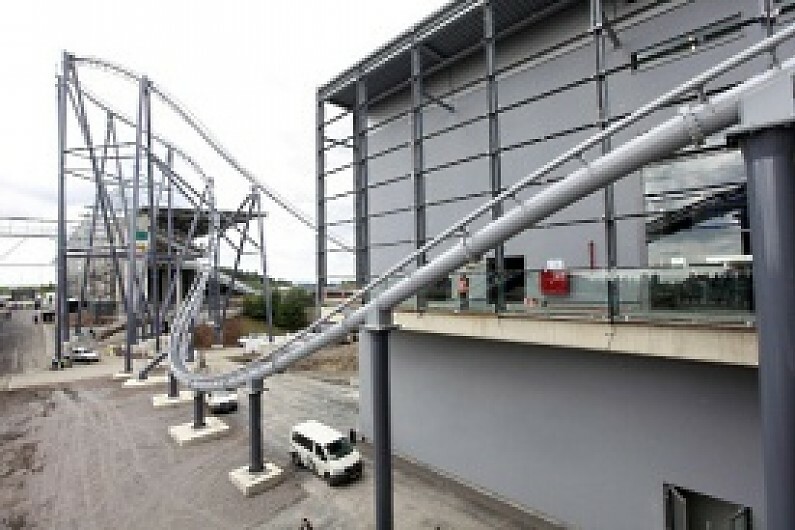 Nevertheless, Michael Schumacher was given the privilege of giving the rollercoaster its maiden run shortly before the start of the grand prix. Fans who want to try out the ride for real, will get their chance when the DTM visits the Nurburgring on August 15th. 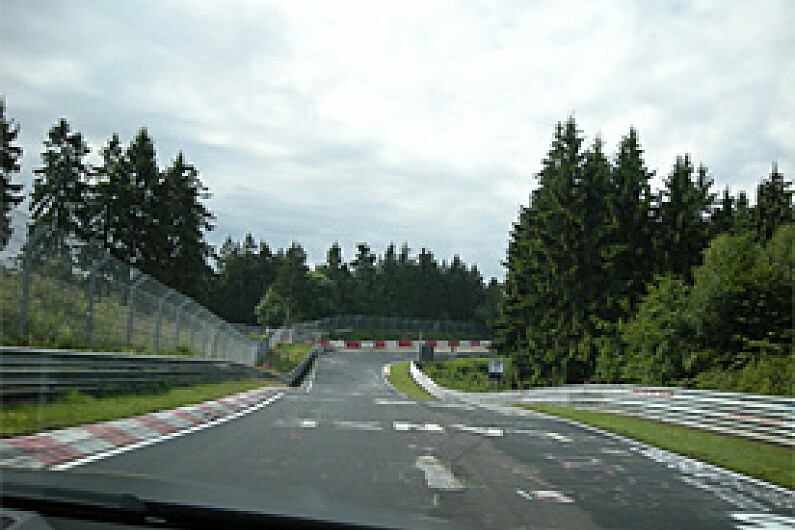 Although the Ring-Racer may well be the fastest ride at the Nurburgring when it is finally up and running, there is still little doubt that the most spectacular aspect of the venue is a lap of the Nordschleife. That is especially true if you happen to have the good fortune to be sitting alongside a racing driver who knows the track like the back of his hand. Last Thursday morning, before the weekend got into gear, Mercedes-Benz offered some rides around the track with some DTM veterans - and I had the pleasure to experience a few sideways moments with Bernd Schneider as he coped with a drying track surface that was ready to throw him off at any moment. Most impressive save of all came at the final corner though. Schneider had been talking around the lap and explained that it was vital that you got a good exit speed for the run to the long straight. Just as he said it though, a damp patch mean the rear wheels of the Mercedes lost grip and there were a few frantic moments as he battled hard to keep it on the grey bits. Brilliant stuff! Of course, there are times when such drama on the Nordschleife does not result in a save - and instead results in pretty hefty contact with the barrier. There are countless clips on Youtube of moments when it all goes wrong, and the personal favourite remains the '7 Second Ring King' of two guys who videoed their all-too brief experience of the track after driving down from Manchester in England. You can watch it here. And they must have been feeling just as bad as the poor owner of a Lamborghini Gallardo, whose £130,000 car was left as a burning wreck at the side of the track near the Bergwerk when he lost control on Saturday evening. Several F1 figures, who embarked on a marathon two-hour jog around the track that night, enquired about the fate of the poor driver - who almost certainly found that his road insurance would not be valid for a trip around the Green Hell. "He was not injured," confirmed a track official as the circuit entrance. "But he was crying an awful lot when he got back here..."